But it's not. It's far from it! Because that whole launch caper, well it's damn hard and really stressful, and worst of all it doesn't always go as well as you hoped. 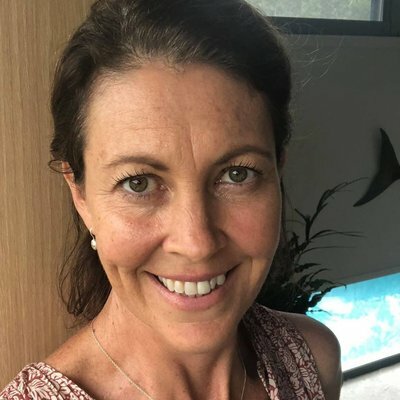 Rather than adding more ease and more cash to your already running-on-fumes business... constant launching actually just adds a tonne more work. And every month you STILL have to stress about how to pay your bills, or get more clients. But now you have even less time + energy to do anything about it. And that is NOT what you signed up for, right? Well it sounds like you are ready to FINALLY change all of that. The $5K Funnel Formula is a boutique group mentorship program for course creators like you. 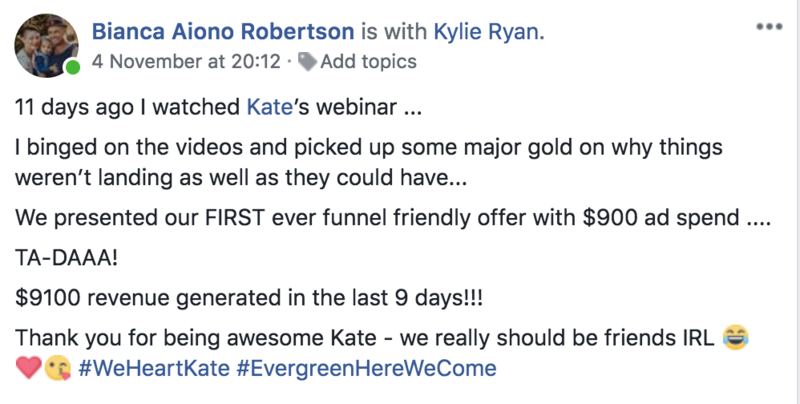 Designed to show you the exact steps, and give you all the plug-and-play templates you need to make building and launching your own proven + profitable $5K (or more) evergreen funnel, as easy and fast as humanly possible, no matter what your niche, or how tech-phobic you are! 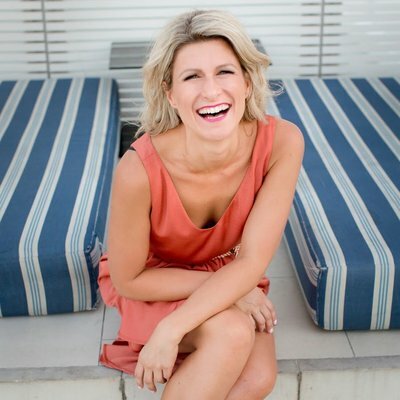 Vesna had been trying to sell her online course unsuccessfully ... for 4 years! 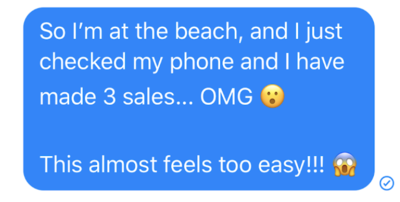 Then she tried the $5K Funnel formula and after a few weeks is making 80 sales a month (every month)... totally on autopilot! ... and take (several) holidays, too! Won't I need a huge Facebook ads budget? And lots of scary and exxy tech? So basically it pays for itself, and it pays for you to grow too! ...I heard you have to have a really high priced offer to even bother making a funnel? Not true! You need to have a funnel friendly offer (and funnel friendly offers are profitable! ), and I'll take you step by step how to make sure your offers and packages are going to be funnel ready first (it's module #1). And yes, our system works for everything from $30 a month communities to $5000 coaching packages and everything in between. 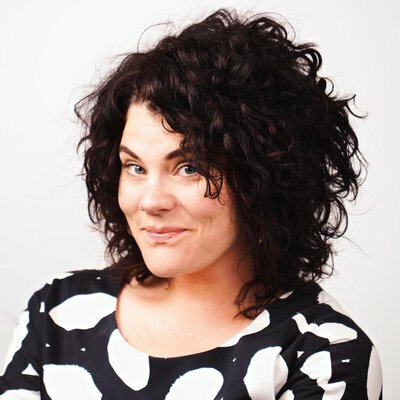 Don't funnels work worse than launching? 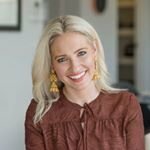 So if my launches aren't great yet, should I wait until they work better before I create my funnel? Absolutely not! 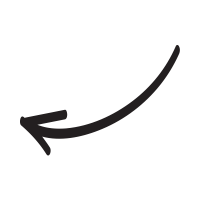 Launches and funnels are totally different things. 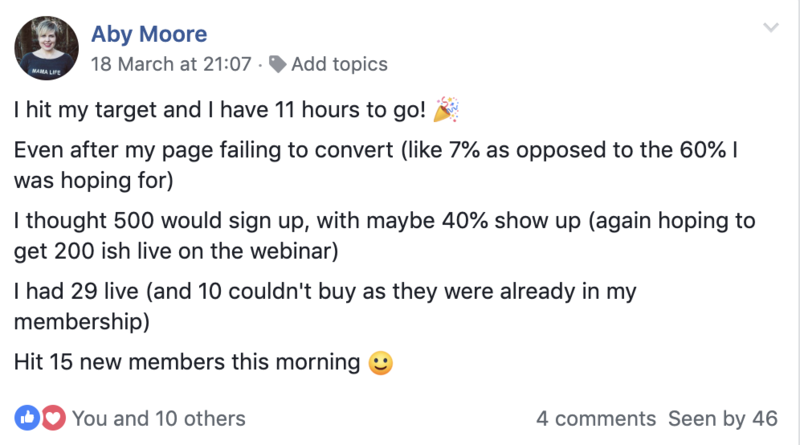 And some of my star students were totally crap at launching, and now they are killing it and making multi 6-figures with their funnels (and never have to launch again!). 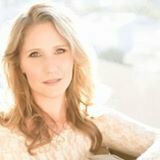 "I signed up for the 5K Funnel program two weeks ago, and today I made 11 sales of my $997 program using Kate's formula. Previously I've spent thousands of dollars on expensive coaches and never saw the results. 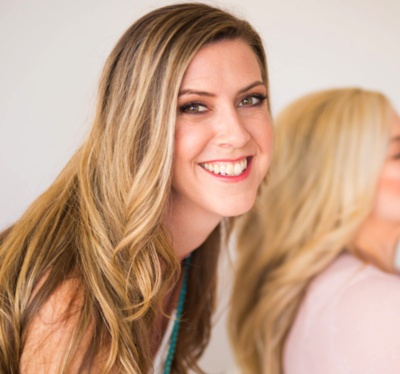 Kate's program is definitely worth the investment!" Heidi was sick of wasting tens of thousands of dollars on expensive experts and coaches... and never getting results. 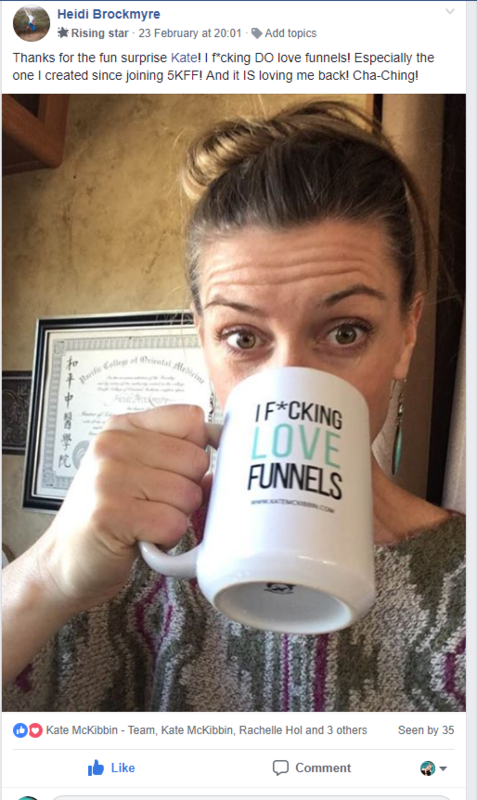 Just a few weeks after setting up her $5k Funnel Formula system, she's making more sales than she ever has before.. all without launching! and she just sent me this! and PS.... she sent me this March 10th! created and launched a whole new funnel, and made 7 sales in just one week! have 11x your investment in just two weeks, and created a webinar that will keep making you sale for years to come! 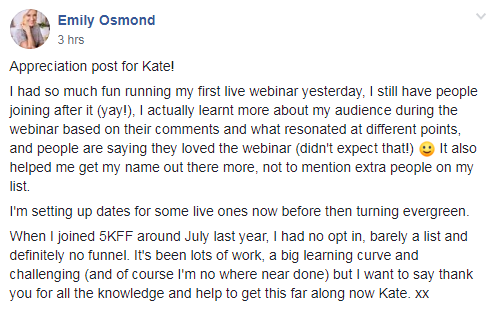 "Kate, LOVE your $5K Funnel Formula program. Having sales come in on autopilot still blows my mind!!" 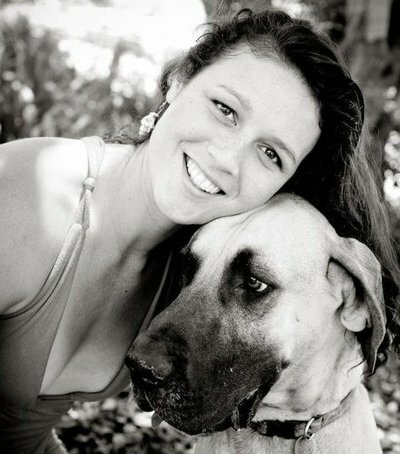 ... now she has over 70 community members, and loves the freedom of making sales on autopilot! For many entrepreneurs I know that earning $5K a month consistently (without hustling), is both a major hurdle and also milestone in their business. $5K means the bills are paid, they are paid, and they can finally stop stressing and start focusing on the other important and more enjoyable parts of their business. So that's why we START there... but that' s NOT where we finish! OK, but... why only a $5k funnel? To stop living launch to launch? 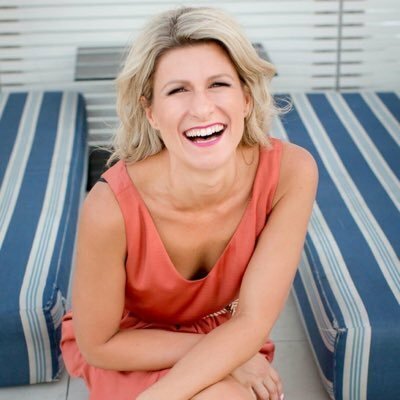 To stop stressing about making sales? To stop spending so much damn time on sales and marketing? The $5K Funnel Formula is currently available by invitation only, click here to submit your details and request you invite now. 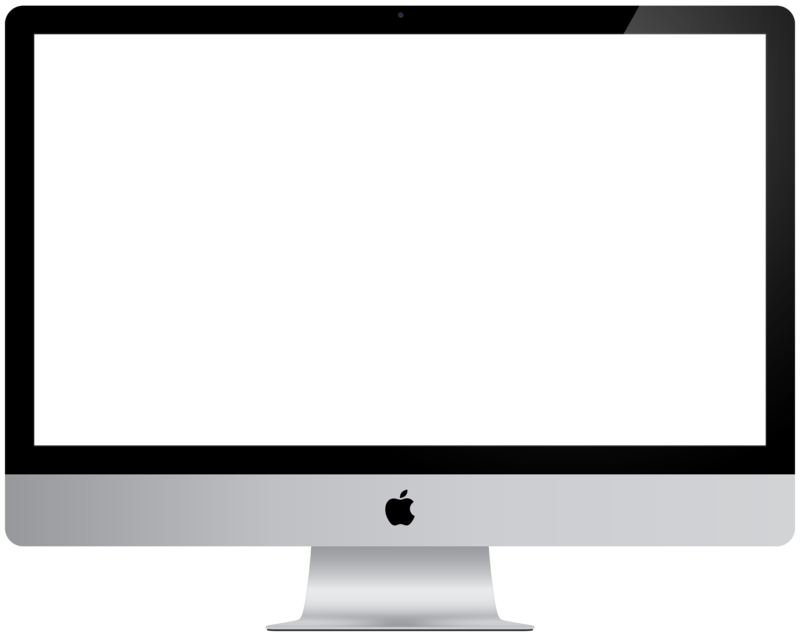 The $5K Funnel Formula is currently closed, jump on our waitlist now to be the first to hear when we open our doors. 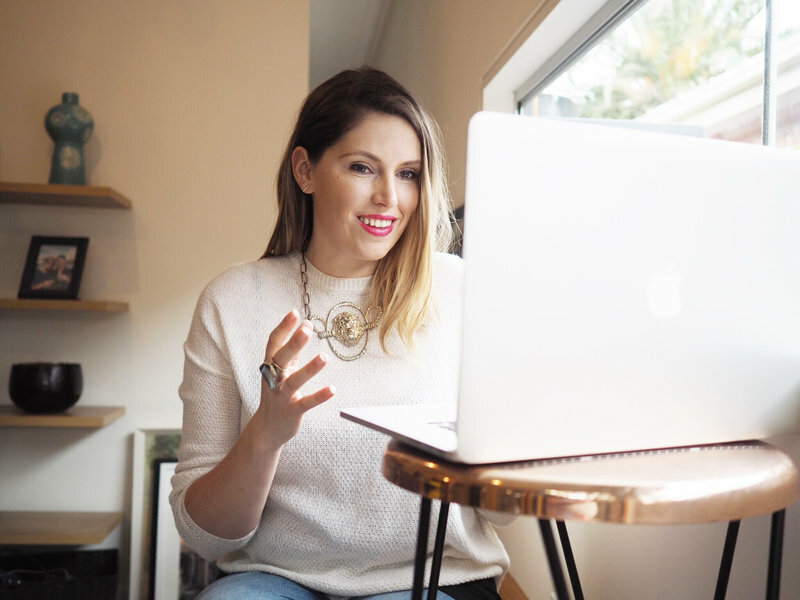 join now + get the support you crave + the formula you need to create your own profitable $5K Funnel… in a way that is fast + fun! But i don't have a course or program yet... can i still join? Our one main requirement is that you have something to sell, that you have sold before as a minimum to start with (it can be events, consulting, coaching, what ever! ), and we can help you to create your own leveraged and scalable course inside the program too. As soon as your payment is received, you will receive and email with access to the $5K Funnel Formula HQ, and also to our Facebook group and hub.